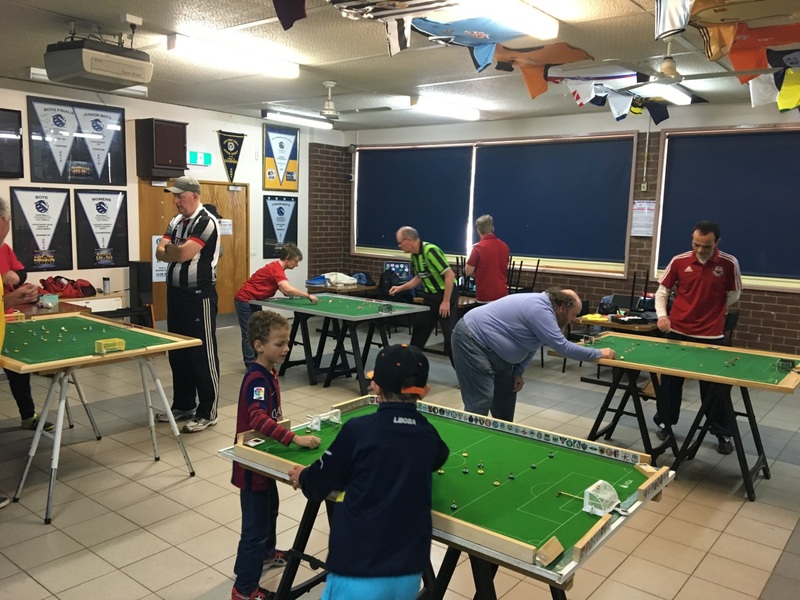 Western Flickers Table Football Club was formed to cater for players living on the north/west side of Melbourne and provide more opportunities to play the wonderful game of Subbuteo table football. If you are reading this and new to Subbuteo table football, watch this video (https://youtu.be/2GwgHF8IrXQ) for a brief introduction to the game. It may have been the 2nd coldest (and probably wettest!) 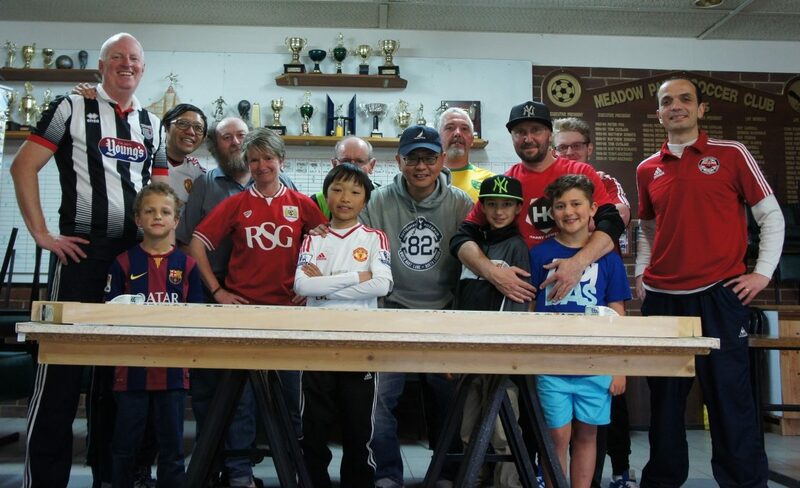 Melbourne day in history, but nothing was to stop Western Flickers from holding its 7th WASPA tournament. The event was staged at WTF’s Northern HQ – Meadow Park Soccer Club – a regular venue for social Friday Flicks but hosting its first tournament. Despite the grim weather, there was a good turnout of 10 flickers in the Open category and 4 kids in the Junior category. Four of our club juniors faced off for honours. 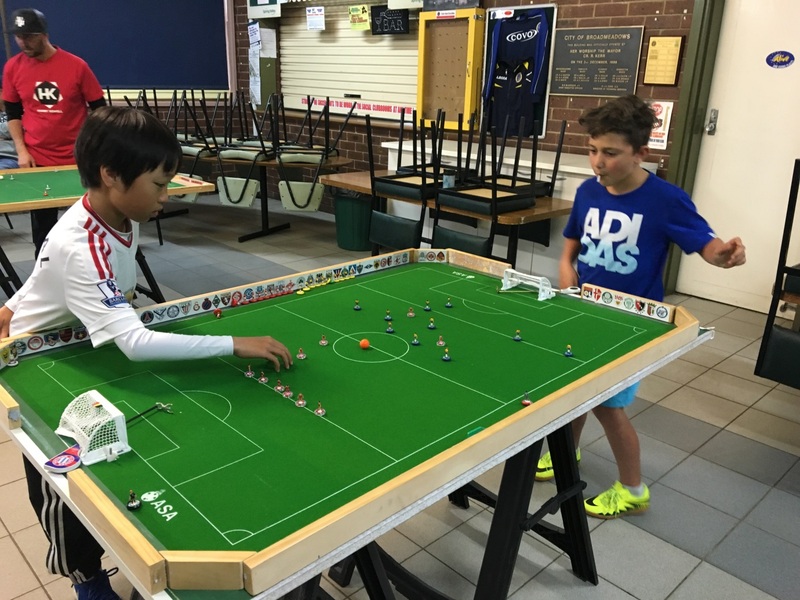 With the Briffa boys – Harrison and Alex – improving with every game, “veterans” Benjamin and Aidan has their task cut out for them. The category was played as a simple round robin format. It was a close tussle in most of the games with little to separate the boys. In the end, the more experienced Benjamin won the category by only a single point over the promising Harrison. The 10 players in the Open category were split into 3 groups. The top 3 WASPA ranked players – Luke Radziminski, Benny Ng and Adam Deverell – were spread across the groups and the rest randomly allocated. The groups with Adam and Benny went to script according to WASPA rankings, but the real surprises were in Luke’s “Group of Death”. Beth Eveleigh – the “Queen of Australian Subbuteo” – put in a fantastic performance to hold MTFC president Luke to a goalless draw. This proved to be the key result of the group. With the returning Paul Mercer – once ranked the top player in Victoria – undefeated, it meant that he pipped Luke as group winner. 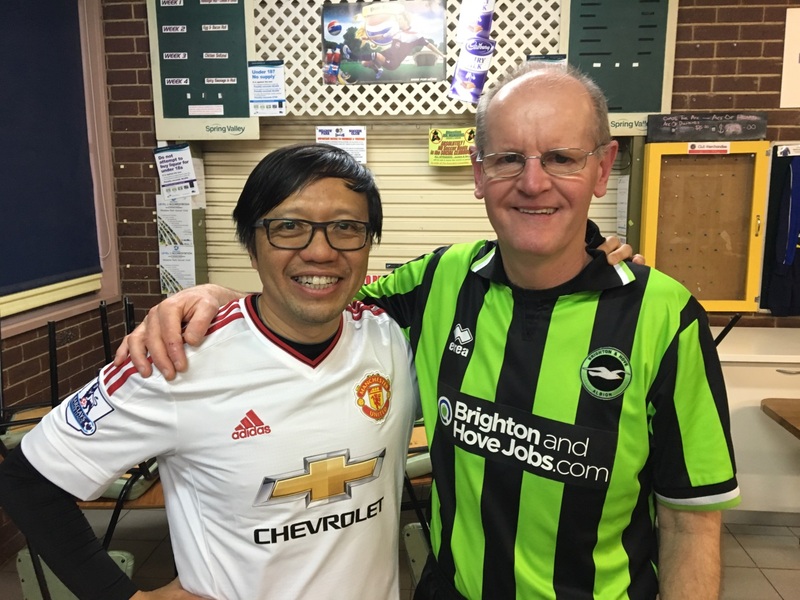 The other significant results of the first stage was draws achieved by newcomers Chris Hirst and Tim Kee (only his 3rd time playing table football!) against much more experienced opponents. Well done guys! In the Consolation Pool, Beth won the pool comfortably dominating all her matches comfortably. It was a close tussle between Simon and Chris Hirst for second spot, with Simon coming ahead on goal difference. 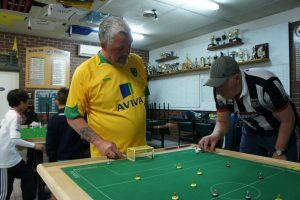 While Tim was unable to repeat his feats in the Group stages, it was a really good performance in his very first WASPA tournament and the fact that he hadn’t even heard of Subbuteo a couple of months ago! In the Plates pool, Christos Garagounis demonstrated his continued improvement by following up a good win against Kevin Grant with a magnificent 2-2 draw against the much higher ranked Luke. Luke still emerged as pool winner by goal difference. With Paul and Benny winning their opening matches against Adam in the Winner’s pool, it meant that the final match between the two flickers would be the tournament decider. It was an exciting match-up with Paul attacking and Benny defending resolutely hoping to catch Paul out on the break. In the end, Benny’s counter attacks turned out to be the difference and won his second WASPA title in a row. Thanks to all who attended for helping to make it another extremely successful Western Flickers WASPA event. Finally and most importantly, everyone has loads of fun and went home happy. Table football was indeed the winner. This entry was posted in News and tagged tournament results, waspa tournament, western flickers on 26/10/2016 by ajebec.